OMAHA, NE. March 27, 2019 – The President and CEO of Omaha’s Henry Doorly Zoo & Aquarium, Dennis Pate, has been named the 2019 “Tourism Hero of the Year” by the Omaha Metropolitan area (OMA) Tourism Awards organization. Pate will be presented with the award during the Third Annual OMA Tourism Awards celebration on May 8, 11:30 AM at the Mid-America Center in Council Bluffs, IA. Pate was selected as this year’s “Tourism Hero” because of his contributions in making Omaha’s zoo the number one tourist attraction in the state, and one of the best zoos in the world. Through his vision and leadership, the zoo has created new experiences such as: the 28-acre African Grasslands exhibit with breathtaking panoramic views of grasslands and African wildlife; Alaskan Adventure, an Alaskan-themed splashground featuring dancing waters that spray through and over more than 75 bronze sculptures; the Bay Family Children’s Adventure Trails which includes a raft crossing, a three-story tall treehouse, and water features designed for play; and Asian Highlands, to be completed this spring, which will bring a diverse collection of animals including red panda, sloth bear, white-naped cranes, Amur tiger, Sichuan takin,Chinese goral, snow leopard, Pere David deer and Indian rhino to the zoo. In addition to the new exhibit, Pate is also keenly aware of the economic impact the zoo has on the Omaha metro area and state. Restaurants, hotels and other businesses all benefit from a great zoo. Children in our community also benefit through the Zoo Academy, a full-time school at the zoo that encompasses nine school districts and provides students with science, technology, engineering and math classes. In 2018, the zoo’s educational programs impacted more than 90,000 children. Pate has also proven to be a huge advocate for animal conservation around the world and has elevated the zoo’s role in contributing to those efforts. Pate currently serves on the board of the Diane Fossey International Gorilla Fund and has served on the board of directors of the Association of Zoos and Aquariums – completing a term as chair in 2015. He also served as chair of the Accreditation Commission of the Association of Zoos and Aquariums and served on the board of directors of the National Elephant Center in Florida. During the OMA Tourism Awards celebration, Pate will be honored alongside eight members of the hospitality community. 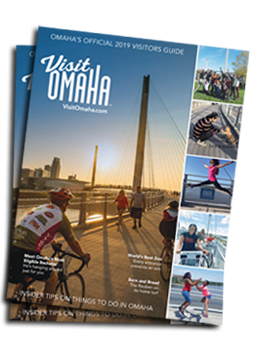 OMA Tourism Awards is a tri-county partnership with Visit Omaha, Sarpy County Tourism, and the Council Bluffs Convention and Visitors Bureau. The awards celebrate front line employees and volunteers who go above and beyond to make the Omaha metro area a great tourism destination. The Tourism Hero was selected by the OMA Tourism Awards Organizing Committee representing all three counties. Winners in the other categories are chosen by an independent group of judges representing each county. Tickets to the event can be purchased at OMATourismAwards.com.